The digital revolution has been occurring in dental practices for years; however, many practitioners have found the costs of some technology to be prohibitive. 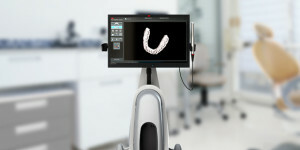 That’s why the 3M™ True Definition Scanner – available in mobile or cart editions – is so important: it is making it possible for every dentist to enhance their productivity, improve the treatment experience for patients, and deliver exceptional restorative results at a price that is affordable. With digital impressions and a 3-D view of your patient’s oral state, you can dramatically reduce the potential for costly mistakes, and greatly increase the chances that the end result will be the best-fitting and best-looking restoration imaginable. The following links will provide you with a greater understanding of this remarkable technology, and how it can benefit you and your practice. With the 3M™ True Definition Scanner, the high economic barrier of CAD/CAM dentistry is becoming more and more surmountable. 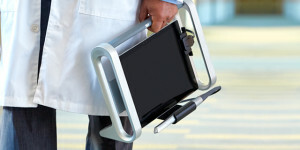 Small, ergonomic, light, fast, accurate, and precise, and available in mobile or cart editions, the 3M™ True Definition Scanner lives up to its name by offering you true definition in your oral impressions. With the comfortable, easy-to-use scanning wand and a touchscreen monitor, this technology makes for a more comfortable experience for your patients and a more productive treatment process. The results are more predictable. The time in the chair is reduced. The imagery is 3-Dimensional and exceptionally detailed. You can simultaneously capture and view the image. The possibility for mistakes is reduced. Communication between you and your patient, your team, and your dental lab is greatly enhanced. Your data is seamlessly integrated with your in-office milling technology and other systems. If you use an outside dental lab, the impression can be digitally sent without the need for a traditional model. Available in cart or tablet version adds convenience and fits the needs of any practice. These are just a few of the reasons why the 3M™ True Definition Scanner may be one of the best investments you’ve ever made for your practice and your patients. 3M™ True Definition Scanning technology has helped dentists across America revolutionize their treatment processes. Take a look at the scanner in action and view the results from some of the patients who have had digital impressions created by this innovative system. Dentists already using the 3M™ True Definition Scanner have many things to say about how it’s enhanced patient care and made their practices run more smoothly. For many, the benefits of this affordable technology continue to grow and their investment is paying off in more ways than one. The 3M™ True Definition Scanner is not only advantageous for you and your patients – it can also be a giant leap forward for your dental lab. The accurate and precise views of your patient’s oral anatomy, coupled with seamless data integration and the 3M™ Connection Center, improves communication with laboratories and helps them create the best-fitting restorations possible. Sometimes, the best way to get an idea of the 3M™ True Definition Scanner’s potential is to see the technology for yourself. We can schedule an in-person demonstration for you and your dental team to see real-time results.